Browse, filter, and select your list of sessions and activities. You can plan your schedule in advance and access it before and during the show via export or the conference app. This tool is provided for your convenience and does not guarantee admission to the sessions you select. Adding a session to your schedule does not register you for any preconference training or workshops. Jessica Clarkson started her IT career in 2010 when she enrolled in the IT Computer Software Developer program at Chippewa Valley Technical College. She graduated from CVTC in 2012 and was hired as a full-time desktop services technician for the college the following year. When she isn’t working directly with the students and staff of CVTC, she’s working indirectly to help them by creating articles for the CVTC knowledge base. 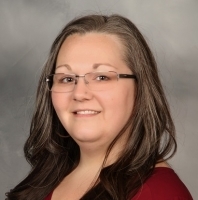 Jessica became an HDI member in 2013 and earned her KCS certification in 2015; she’s also an active participant in the HDI Minnesota local chapter. Breakfast Briefing: Knowledge-Centered Support: Let's Do IT!